Should you imitate Dante or Shakespeare? When I affirm that more can be learned about how to write poetry from Dante than from any English poet, I do not at all mean that Dante’s way is the only right way, or that Dante is thereby greater than Shakespeare, or, indeed, any other English poet. I put my meaning into other words by saying that Dante can do less harm to any one trying to learn to write verse than can Shakespeare. Most great English poets are inimitable in a way in which Dante was not. If you try to imitate Shakespeare you will certainly produce a series of stilted, forced, and violent distortions of language. The language of each great English poet is his own language; the language of Dante is the perfection of a common language. In a sense, it is more pedestrian than that of Dryden or Pope. If you follow Dante without talent, you will at worst be pedestrian and flat; if you follow Shakespeare or Pope without talent, you will make an utter fool of yourself. 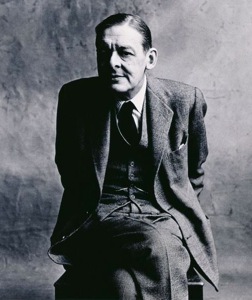 That’s funny, Eliot could praise Shakespeare, but deep down he wanted was to overturn or tarnish the reputation of the Bard. As Harold Bloom rightly said, the school of resentment can not beat Shakespeare, anyone can, he is the greatest of all poets, he is still learning, teaching in schools, staged in theaters around the world, many movies come out about his work, while Dante is something of museum, a dinosaur of the cathedrals, a poet who wrote for poets. Shakespeare is the most modern of the two because it is secular, Dante is still hampered by religion, fanaticism, give his work is much less read, studied, etc. ..